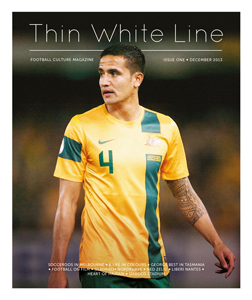 Issue 1 of Thin White Line. Includes delivery anywhere in Australia. Just a few copies left in stock of Issue 1 of Thin White Line. Includes delivery anywhere in Australia. Should Australian players play in the A-League or move overseas?